At least half of the people I spoke to about the Invisible Art Exhibition at the Hayward Gallery turned their noses towards the sky before I had even finished voicing the title. Quite astounding, seeing as it’s the most natural progression the art world could have taken. For as long as we can remember, art has been about the aesthetic. The visual. The wall/canvas/fresco/marble etc. As early as 1917, with Duchamp’s Readymades, we started asking why. Why should we not progress, invent, explore, move outside of the boundaries history has placed on art? Conceptual art theory is inherent in this exhibition at the Hayward gallery. The belief that an idea is just as valid as the physical, is embodied in almost every piece in the show. 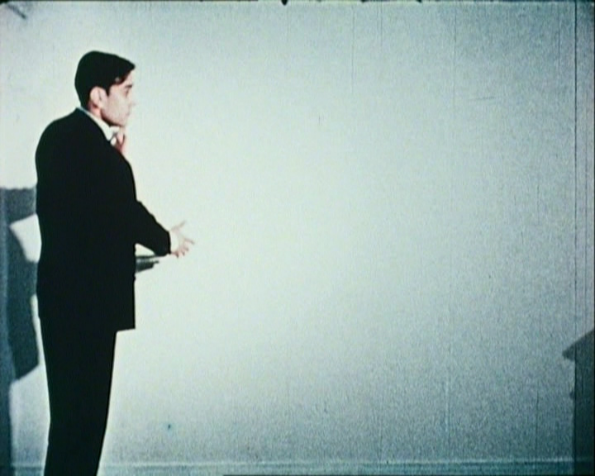 It begins with Yves Klein, a champion of Conceptual art. His works on Immaterial Pictorial Sensibility, and The Void ’58, are a challenge, a provocation, but also an exploration into previously uncharted territory. A brave venture into the white noise of a blank canvas. What is in there? The power of the void can be overwhelming, a fact exemplified by an infamous example, the theft of the Mona Lisa from the Louvre in 1911. A mass of visitors queued to stand and gaze at the space the painting had previously inhabited; the story behind its absence was thrilling enough to attract record numbers. Ironically, most of these visitors would likely have scoffed at an empty plinth displayed as sculpture, but they were nonetheless uncontrollably enticed by the very same concept. On arriving at the Hayward you are asked to enter the gallery at the usual exit point, and feel almost as if you are not in the Hayward at all as you walk the familiar course from back to front. 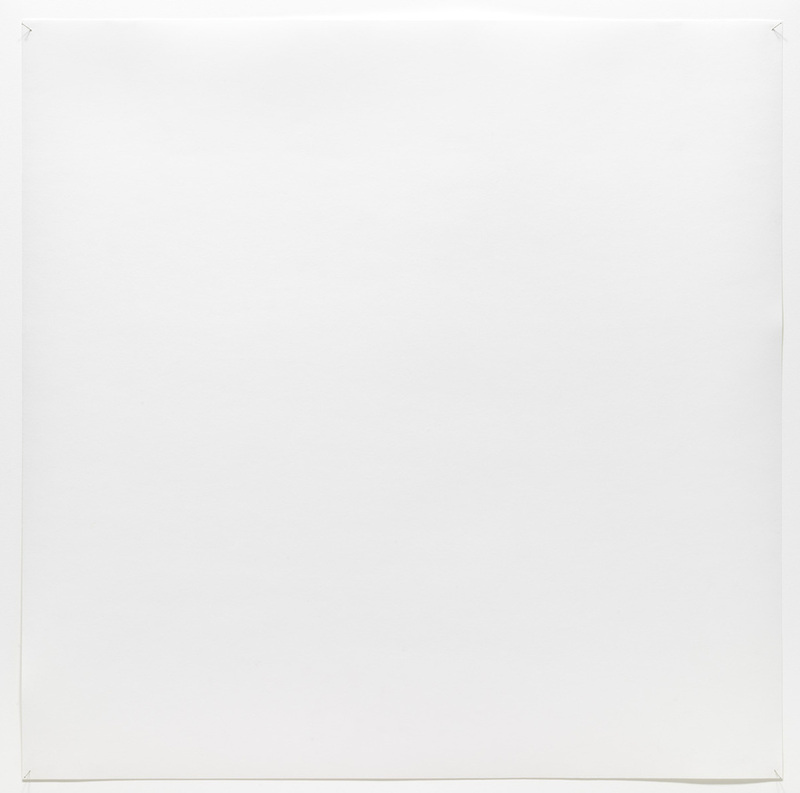 Yoko Ono’s piece, Painting for Burial, 1961, consists of a short list of instructions on what to do with a canvas at dawn light. It is beautiful in its infinite potential. Each viewer’s imagination will take a unique turn at her suggestive poetry. Where is the place she speaks of? The physicality of the text is merely a reference to the idea, the main part of the piece, which is itself a non-physical thing; an abstract concept. Despite their physical manifestation ie. 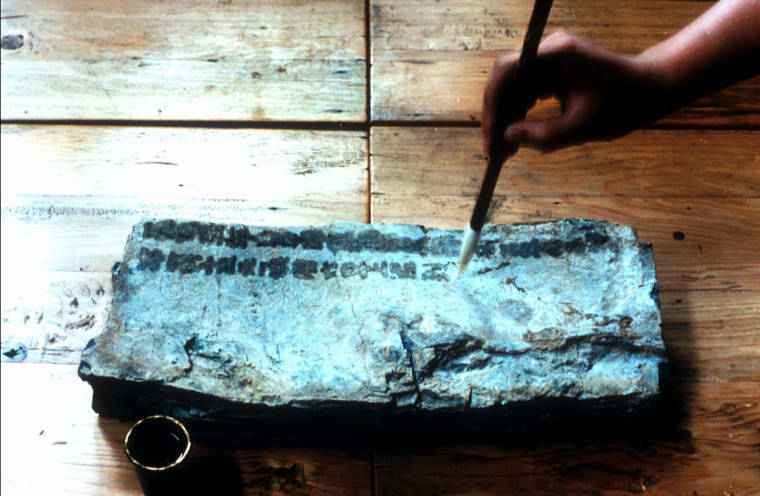 the text on paper, the work itself can be defined as ‘invisible’. 1.) Bury it in the garden and place a marker with a number on it. 2.) Sell it to the rag man. 3.) Throw it in the garbage. Tom Friedman’s 1000 hours of staring, ’92-97, uses the process of staring as a medium for his work. 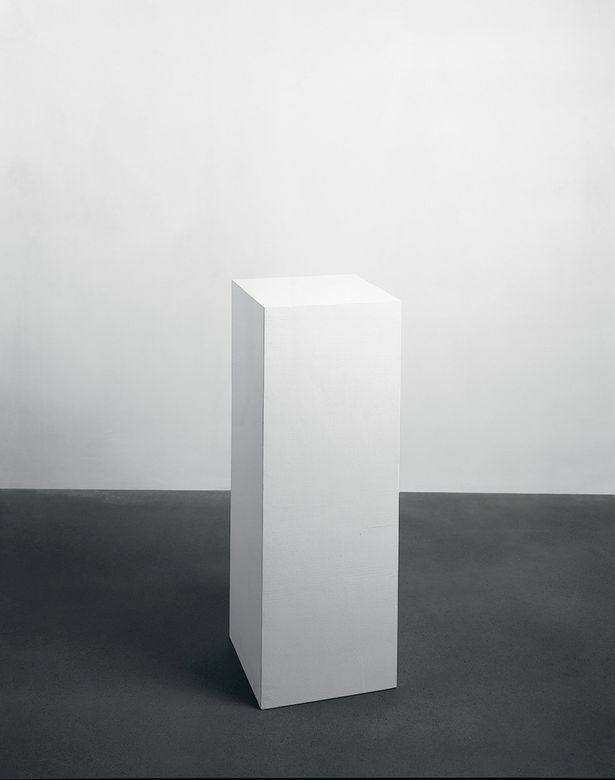 Exploring why the transferring of emotion is often not considered to be a valid medium through which to create artworks, his Untitled (A Curse) ’92, a space above a plinth which has been cursed by a witch, is similarly thought-provoking and again explores our shifting perception of unseen forces. As human beings we both believe in and place primary importance on forces such as emotions. People instinctively consider love, intelligence, and empathy as having intrinsic worth. If in our daily lives we respect non-physical elements as significant, then why is this not the case in art? Consider the blind person visiting an art gallery. Their experience is through imagination, idea and verbally transmitted emotion through a third party. We don’t consider their experience to be worthless, so why do we think it of someone with sight who has the very same experience? We should be encouraging ideas, not devaluing them. 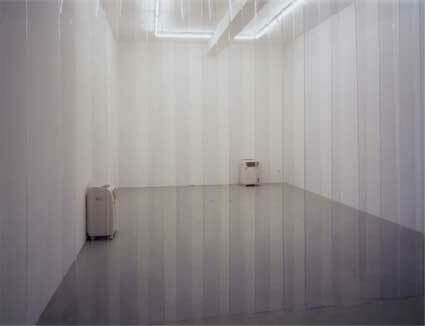 After hurriedly shuffling out of the room in which Teresa Margolles’ cooling system installation, Aire / Air, ’03, circulated the vapour from water used to wash the bodies of murder victims, I noticed that observing other people going in and out of the room was fascinating in itself, provoking varied reactions of disgust, horror, intrigue, humour and distaste. The show concluded with an uplifting physical participation piece, Jeppe Hein’s Invisible Labryinth, ’05. Putting on the headset, which vibrated as you hit a ‘wall’ in the maze, I felt slightly self-conscious, but I was soon exchanging stifled giggles with approaching fellow explorers as we walked carefully around the room, occasionally stepping back and turning to find the correct path. The exhibition celebrated both our imagination and the strength in the power of suggestion. 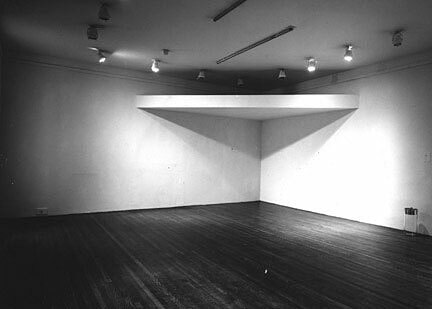 On a number of occasions I found myself questioning whether these things really were invisible; what if Warhol’s invisible sculpture was actually there? I managed to resist the urge to run my hand over that plinth and certainly wouldn’t have gone near the space which held the witch’s curse (just in case). In the end the show sent me on my way with a huge grin on my face, feeling like a child who had just stepped out of a (sometimes Grimm) fairytale.